Install latest Apache stable build. Start HBase by executing the following command. Hbase is now set up and is ready for further use. HBase logs can be found in the logs subdirectory. Check them out especially if it seems HBase had trouble starting. Stop HBase by executing the following command. 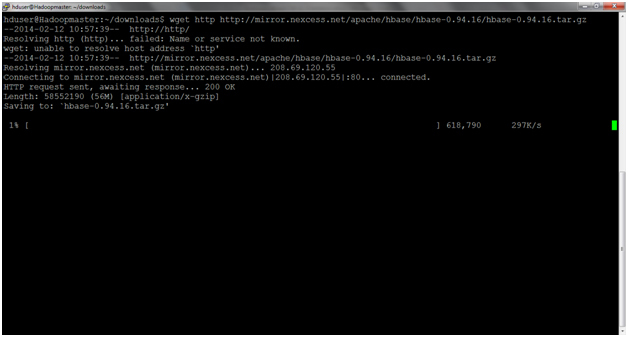 Once the HBase server is started, it is ready to be used. Create a table named test with columns cf1 and cf2. Check if the table is created properly by executing the following command. Add data to the table by executing the following command.